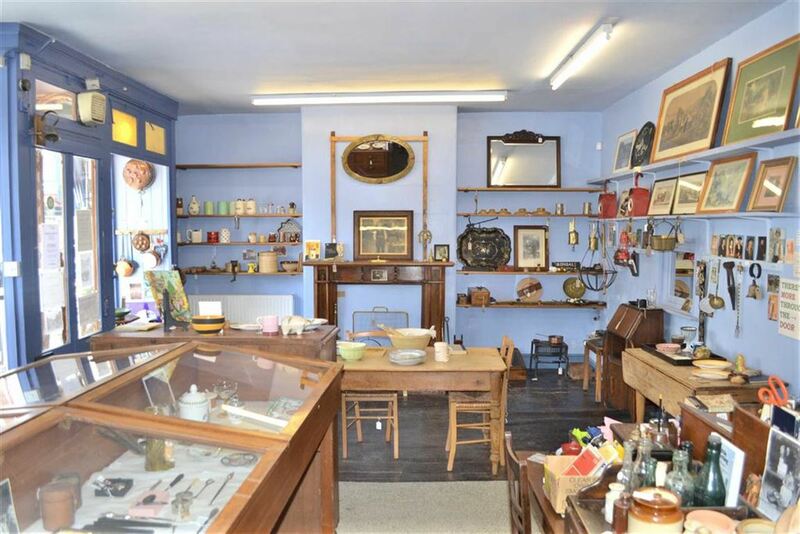 Occupying an exceptional prime trading location in the centre of the popular and well known market and tourist town of Llanidloes is this substantial Freehold Business and Residential property. 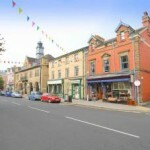 The Victorian property, which dates back to 1880 offers flexible retail and residential accommodation. 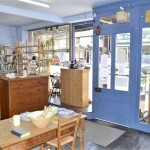 It is currently a successful antiques centre and has previously been used as a cafe/food premises and delicatessen and, with some development could revert back easily. 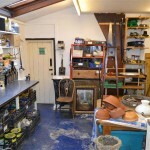 The premises comprise a large double fronted shop opening on to the main street with full visibility there being double yellow lines directly in front; four ancillary rooms to the rear including office, workshop (previous kitchen) with external access, utility room and another reception room. 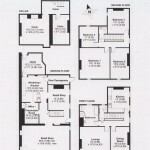 Below is a dry cellar having two rooms. 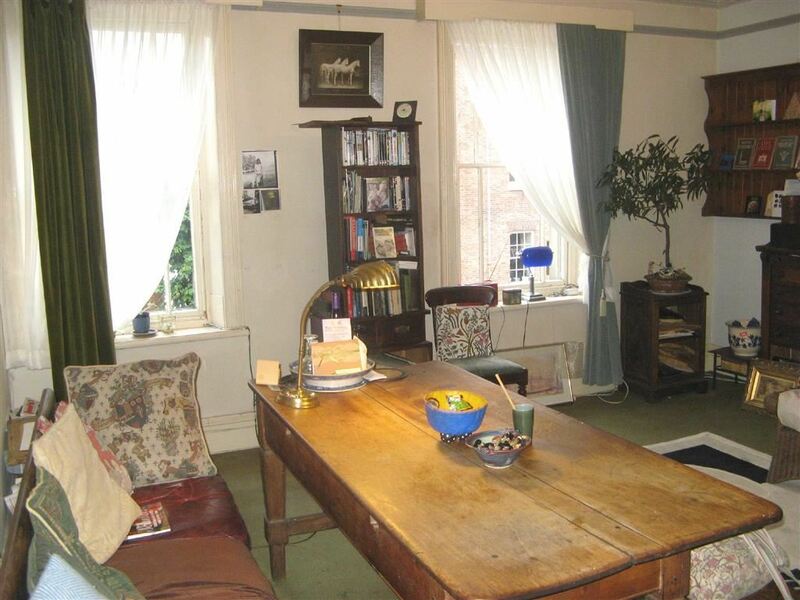 The living accommodation is spread over the first and second floors and includes lounge, study, kitchen/dining room, bathroom, separate wc and four double bedrooms. 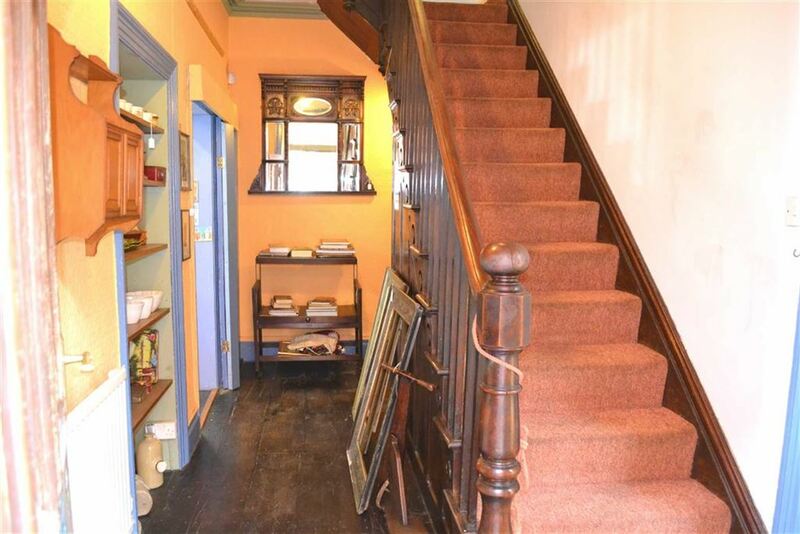 With many original features and spacious proportions, viewing is highly recommended. Energy Rating ‘D’. 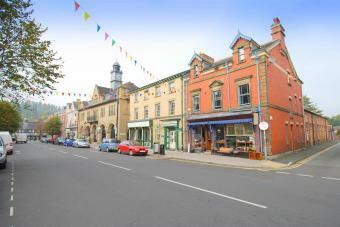 Double fronted retail space with full length widows and display space overlooking the main trading street in Llanidloes. Original part glazed wood entrance door with original cast iron concertina gate. 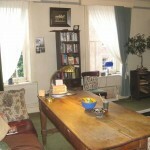 Exposed floorboards, fluorescent lights, window to side with original pine shutters; radiator. Access hatch to rear Office space. Door to Rear Hallway. 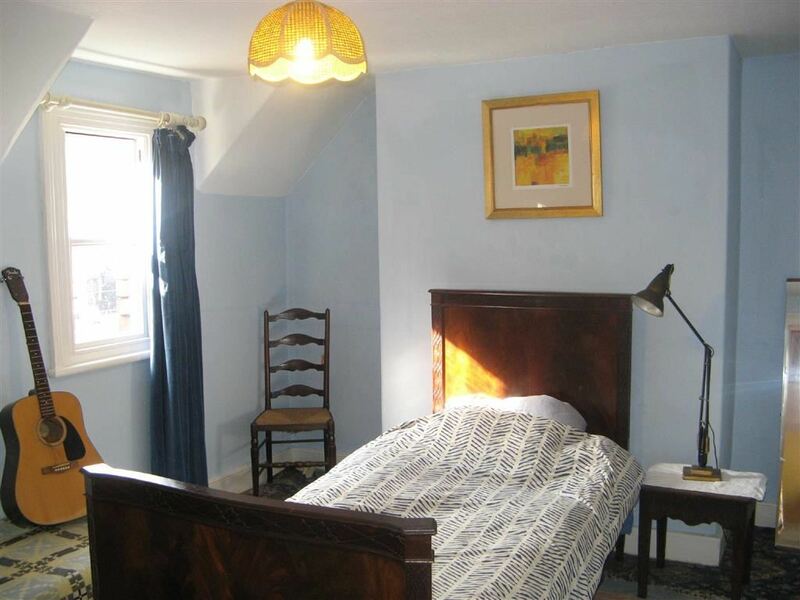 Original stripped pine door; coved ceiling and picture rail; hatch to Rear Hallway; two sash windows with original pine shutters overlooking Bethel Street. Single drainer sink unit with double cupboard under; stainless steel work bench, two velux roof lights; one light well; access hatch to roof space; wall cupboard and shelving; concrete floor. Door to alleyway with external door to Bethel Street. Belfast sink, space and plumbing for washing machine and tumble drier; shelving; fluorescent light; concrete floor. Exposed painted brick walls; internal window to kitchen; door to Rear Alleyway. 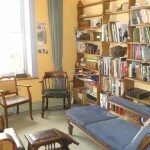 Steps from the Rear Hallway descend to the Cellar which comprises two separate rooms both with light and power connected. Concrete floor; window to front. Low level wc suite; radiator; vinyl flooring; obscure sash window to side. Original Victorian marble fireplace surround and mantle on a slate hearth with gas point. Coved ceiling; picture rail; ceiling rose; two sash windows to front with lovely views of Great Oak Street; fitted carpet; radiator. Sash window to front; radiator; fitted carpet. Range of base and wall units with worktopa and splashbacks over; single drainer sunk, space and plumbing for dish washer; slot-in gas oven and eye level grill; spotlights, vinyl floor; radiator; two sash windows to side. Low level wc suite; pedestal wash hand basin; panelled bath with twin handgrips and hand/shower attachment; obscure sash window to rear. Built-in Airing Cupboard with combination gas boiler and batten shelving. Fitted carpet; window over Bethel Street to side; access hatch to roof space. Fitted carpet; radiator; sash window to front. Fitted carpet; radiator; sash window to side. Fitted carpet; radiator; sash window to rear. 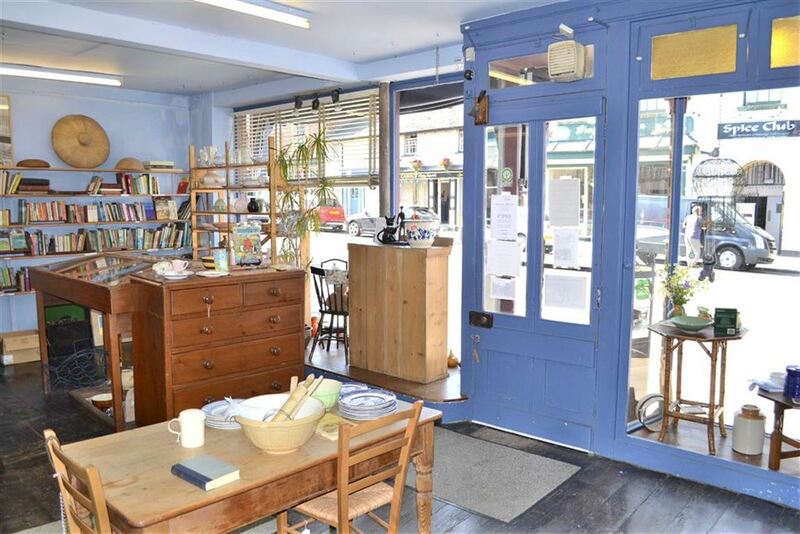 The placing of No 6 Great Oak Street on to the market presents prospective purchasers with a wonderful opportunity of acquiring a long established business premises which is situated in an excellent central trading position. 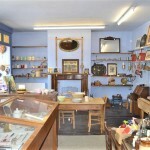 It currently operates as a successful antiques shop but has also been a very successful ‘Bakery and Takeaway’. 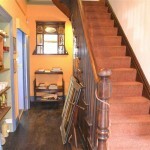 It’s location in the centre of the very popular town of Llanidloes makes it ideal for almost any type of commercial enterprise / business such as restaurant, cafe and so on. 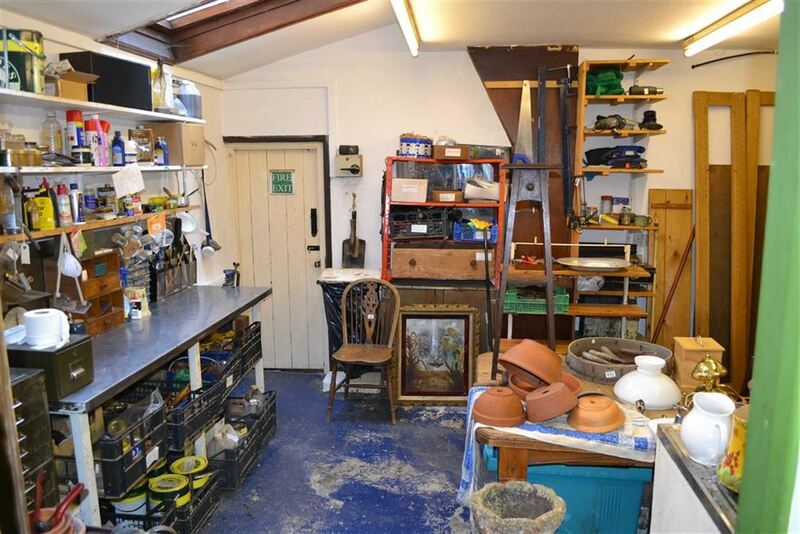 The extensive living accommodation upstairs provides an excellent opportunity for those wishing to live on site but may also have potential for conversion in to flats, subject to gaining the necessary planning consents. 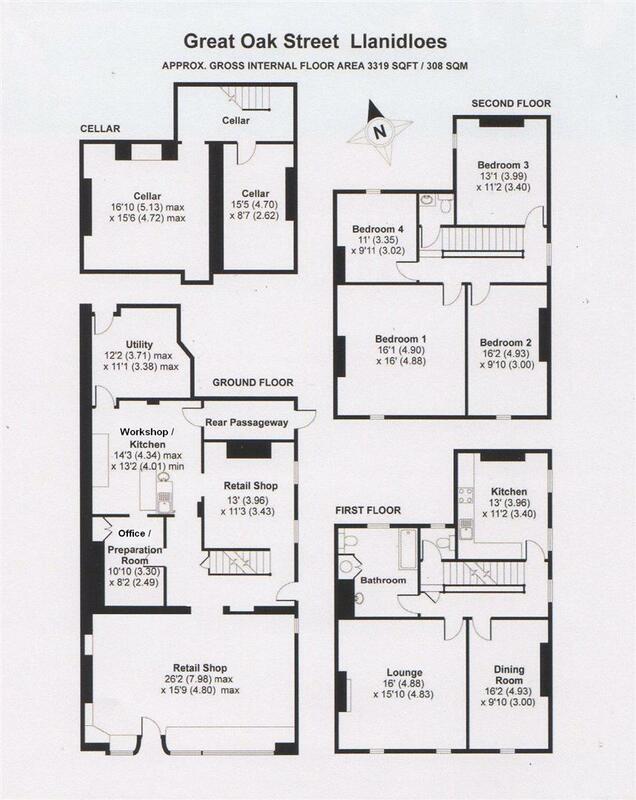 6 Great Oak Street has a 27′ (8.23m) frontage to Great Oak Street and a return frontage to Bethel Street of 39′ (11.89m). 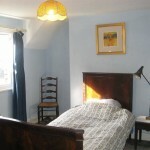 The residential accommodation is quite substantial and previous owners have operated a successful bed and breakfast business. 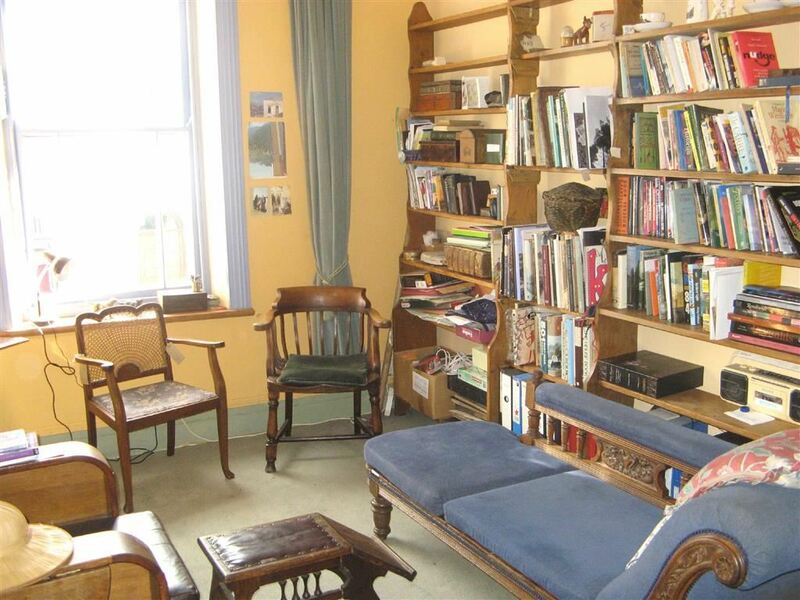 We consider No 6 to be a most desirable property with great potential and we strongly recommend an early inspection.